What a great way to remember the year. Great page! Breanna will love looking at this. Love all the cute little pictures you found to go with the information. What a great page....I am so in love with this idea......I may have to make a page like this for each of the grandkids....this is too cute. Great job Jo!!!! This is such a great idea for your granddaughters page! I wish I could come up with ideas like this! Absolutely adorable. 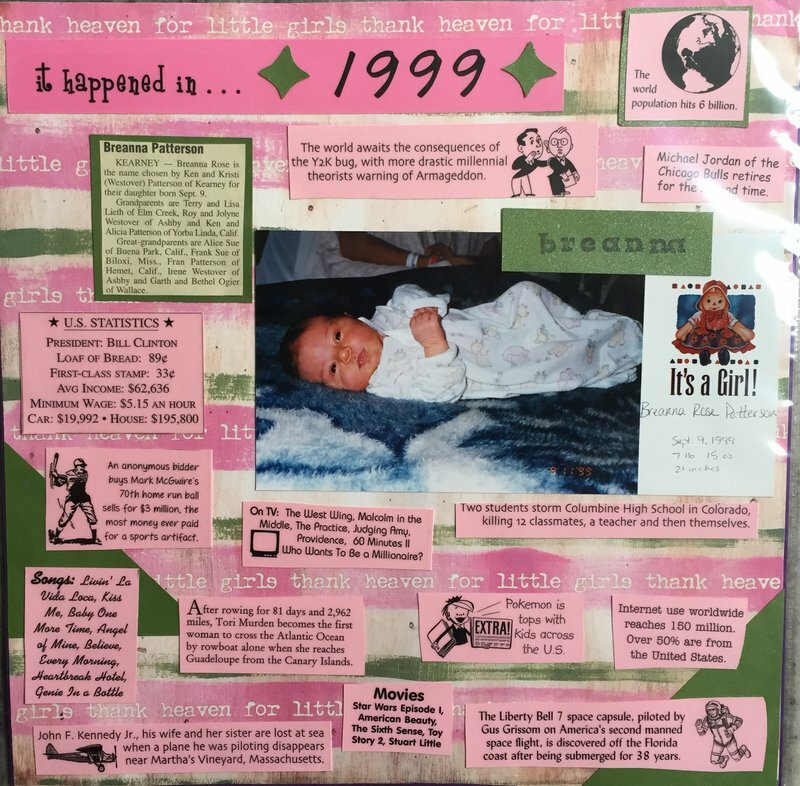 Love it all, but especially like that you added Breanna's newspaper birth announcement. Great way to show the times at her birth.